However, it can be challenging to build a content creation team from scratch or improve the structure of the team you already have. Where do you start? The key is to hire roles that fulfill the stages of the content creation process. 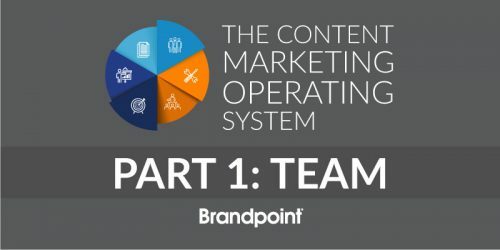 In this post, we outline the responsibilities for each stage and how your content marketing team (and overall business) will benefit. Also involved: The marketing team’s leader, whether the CEO, CMO or director, will guide the strategy. This person will work closely with the strategist to make sure the content strategy reflects higher-level inbound marketing initiatives. This person also manages each member of the content marketing team to keep everyone on task and measure KPIs to demonstrate progress to stakeholders. The content strategy is your team’s roadmap that directs your everyday tasks. You won’t be writing content blindly and crossing your fingers someone sees it. 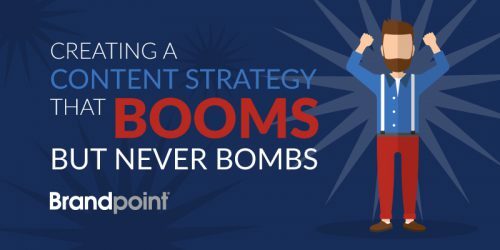 Even after the initial strategy is built, the content strategist will continue to work with the marketing leader to change the strategy as needed. Businesses continually change, and so will the content strategy. The strategist will regularly monitor competitors, keywords and other important metrics so your team can be set up for success – even amidst change. A content manager refers to the content strategist to make day-to-day decisions about what should be written, how and when. This person should be able to explain to content creators and stakeholders why a piece of content should be created. To explain the why, your content manager should be fluent in SEO and keyword research to identify topics and opportunities for improving organic traffic. They will also be skilled in finding topics that will perform well for various channels (social media, email, blogs, etc.). Every topic chosen should have a reason that will move your content team closer to your goals. The content manager will know the ins-and-outs of the editorial calendar as well as the workload of each content creator. This person manages the workflow to oversee that content gets finished and published on time. As a content creator, I know how easy it is to get lost in the writing process and lose track of time or forget to think of ideas for the next brainstorm sessions. With content planned each month and set due dates — thanks to the content manager — I only have to focus on creating the content and not worry about what I’ll be writing next. That’s already been planned! If working on a small team, the team leader, CEO or content strategist might fill this role. This person should have a strong understanding of the company’s content marketing goals to generate meaningful topics and organize them into the editorial calendar. Your content marketing strategy may include all kinds of collateral: blogs, emails, e-books, videos, infographics, press releases, etc. Content creators make these materials come to life. You may also find someone who is a triple (or quadruple!) threat that creates ALL THE THINGS. Digital: This group focuses on writing blogs, podcast scripts, e-books and other content that is highly engaging and informative. PR and communications: Another group may focus on emails, sales material, press releases and other traditional PR collateral. Visual: This department would focus on all the images, videos, GIFs and any other images you need to make your content stand out. This role is the biggest no-brainer: if you want content, you need someone to create it. But don’t hire content creators if there’s no strategy first. Otherwise, your team will be creating content without knowing whether it will impact your overall content marketing program. For example, do you want your content to drive web traffic? Do you want to increase brand awareness? How will you measure these things and what does success look like? It’s a good first step to get at least a few pieces of content up on your website, but without a solid content strategy and a plan to analyze its performance, you may not get the results you desire. Pro tip: Another great asset to your content creation team is a content management platform. Each member of your team will have access to every piece of content, allowing you to manage all of your projects with just one tool. There are so many reasons why you need a content editor. Their red pen marks may seem overwhelming at first, but content editors make a writer’s good work, GREAT. A content editor is not the same as a content manger. This person strictly looks at written content. For the visual department, the equivalent role is an art director or coordinator that reviews designs and photos. 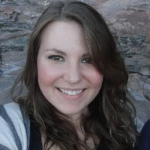 This person looks for and corrects mistakes, suggest revisions and acts as a writing coach. When writers are struggling with a piece, content editors offer guidance and help them think differently about their topic. You may also consider hiring two content creators who create original work, but also serve as the other person’s editor. This structure has worked well for our team at Brandpoint. You’ll feel assured that you’re publishing only the highest quality content possible. The content editor reviews all written material to ensure it is free of errors, reflects the brand’s voice and meets the goals set in the content strategy. Your editor may also be able to identify ways to make a post better optimized for search engines. Overall, the editor should be the last set of eyes on a piece of content before publishing. While you don’t need someone on hand just to click the “publish” button for you, there should be a designated person responsible for getting content on the web. These responsibilities can fall under a general digital marketing specialist role. Paid: Promoted social media posts, native and sponsored ads, as well as traditional ads. Multiple roles may handle different paid accounts, but you may assign all paid duties to the paid media specialist so that one person manages the budget. Earned: Media pitches and guest blogging (not paid). Someone in a more traditional public relations/communications role focuses on building relationships with media publications, influencers or other businesses to promote their own content or company. These relationships will help get your content (and business) seen by new and larger audiences. It will also help bring more traffic to your website or blog. Shared: Social media engagement like replying to messages and amplifying owned or curated content. A social media manager would plan the social media calendar, write and schedule posts and determine the strategy for responding to and interacting with social users. Owned: Anything the brand publishes including websites, blogs, newsletters, social media accounts, etc. The ultimate goal is to make brand channels a destination for organic traffic. The aforementioned content creators and editors develop and create all owned media. Your content will be found … and seen! Content establishes brand authority and empowers your audience to take action (follow on social media, sign up for a newsletter, download an e-book, etc.). But you need an audience first. Then, you can nurture and continue to engage the audience. It’s getting harder and harder to get content seen. Enlist experts to implement all methods in the PESO strategy so you’re completely covered. Measuring content is most effective when signed to team members who use those results on a day-to-day basis to make decisions about changes to the content strategy. This responsibility could fall on the content strategist or a more generalized digital marketing position. Or, you can recruit a content analyst who specializes in digging into the analytics and creating reports to help adjust the content strategy for long-term results. The content analyst will preferably be a Google Analytics expert and should be able to identify the best ways to track the progress of every content campaign. Your entire team will know what works and what doesn’t. This affects everyone on the team. It could change the type of content you create, what you promote, how your team works and even what roles you need. If you’re in content marketing, your job will constantly change. Your audience and the information they want will eventually change. Your company will change. And measuring your content’s performance will help you determine where you need to improve to achieve better blog results. Even if your team must fill multiple roles, it helps to think about these stages of the content process. This will help define clear responsibilities and put the right people in the right seats. This way, your entire content marketing practice is covered and set up for success. Editor’s note: This post was originally published in June 2017 and has been updated for relevancy and clarity.